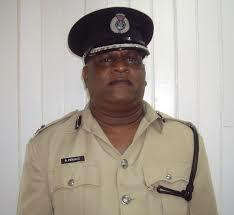 Assistant Police Commissioner, Balram Persaud. Assistant Police Commissioner, Balram Persaud died Tuesday more than three weeks after he was seriously injured in a road accident. Persaud had been heading to Georgetown on the night of Friday, February 5, 2016 when the car in which he was travelling ran off the road at Schoonord, West Bank Demerara near the Demerara Harbour Bridge. Eyewitnesses said the driver lost control of the car resulting in the vehicle spinning several times and slamming into a utility pole. Persaud acted as Police Commissioner whenever the substantive office holder is on leave or overseas on official business. Assistant Commissioner Balram Persaud enlisted into the Guyana Police Force on May 05, 1984, with regulation number 12684 and was posted to ‘F’ Division following the completion of his initial training. He had gained his early education at the Anna Regina Multilateral School and the Government Technical Institute where he earned passes at the GCE ‘O’ Level and the Ordinary Technical Diploma in Building and Civil Engineering, respectively, and through his discipline, dedication and commitment to duty rose steadily through the ranks. He earned his first promotion to the rank of Cadet Officer in 1986 after completing the Standard Officers’ Cadet Course; Assistant Superintendent in 1987, Deputy Superintendent in 1995; Superintendent in 1998; Senior Superintendent in 2002; and Assistant Commissioner in 2008. Assistant Commissioner Balram Persaud served in several areas within the Guyana Police Force in addition to ‘F Division. These comprise the Tactical Services Unit, Special Branch, Department of Development, Force Control and ‘A’, ‘B’, ‘C’ and ‘D’ Policing Divisions. He also performed duties as Staff Officer to the then Minister of Home Affairs in 1999. During his service Assistant Commissioner Balram Persaud held command positions as Divisional Commander in ‘C’ and ‘D’ Divisions, Assistant Commissioner ‘Operations’ and finally Assistant Commissioner ‘Administration’. He also performed the duties of the Commissioner of Police on occasions during 2014 and 2015 when the substantive Commissioner was on duty and vacation leave overseas and was a representative of the Guyana Police Force on the National Commission on Law and Order. In the course of his development into a knowledgeable and versatile Police Officer, Balram Persaud attended several overseas courses and seminars in a number of countries including St. Vincent and the Grenadines and Trinidad, and a Public Safety and Security Management Programme at the University of Guyana. He was also a member of the Guyana Police Force team at the Third Meeting of the Guyana/Brazil Joint Commission on Police Cooperation and Drug Repression which was held in Brazil in 2013. Assistant Commissioner Balram Persaud was awarded the Police Force’s 150thand 175th Anniversary Medals and has given almost 32 years of exemplary and yeoman service to the Police Force and citizens of the country, and will be remembered by many as a very approachable and experienced Police Officer. The Commissioner of Police, senior officers and other ranks of the Guyana Police Force express their sadness at his passing just months before his retirement, which would have been in August this year, and wish to offer their sincere condolences to the family and friends of the late Assistant Commissioner Mr. Balram Persaud at this time of their bereavement.